The Cistercian abbey Fontenay was founded in 1118 by St Bernard in a small marshy valley . By 1200 the monastic complex that survives today was largely complete and large enough to serve 300 monks. Additions to the main complex continued. 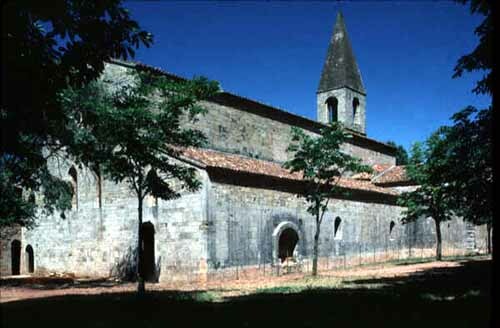 In 1269 it became a French royal abbey. The two-story gate house was added in the 15th century, as was the present roofing of the dormitory. The present abbot's house was constructed in the 18th century. In 1790, the last monks leave the abbey. At the beginning of the 20th century, a Lyonnais banker buys the site and decides to bring it back to its medieval glory.